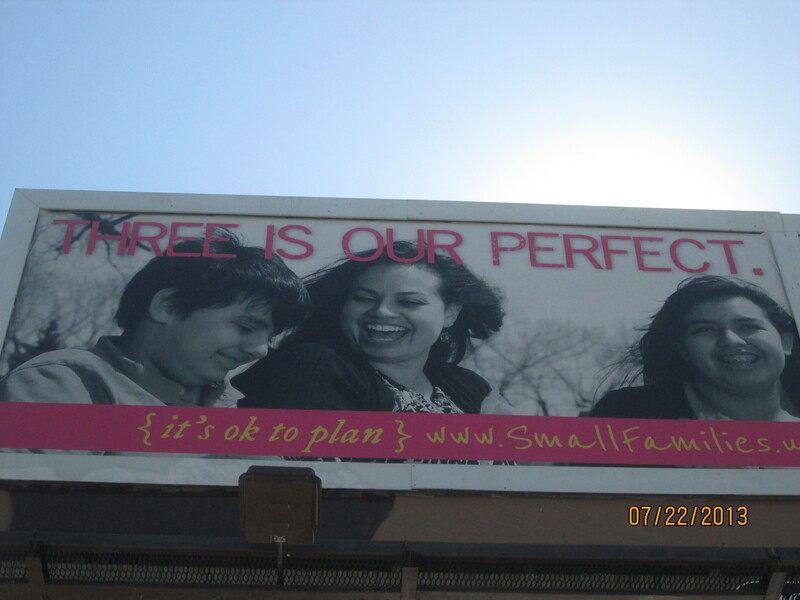 Small Families is UPEC’s Utah media campaign encouraging all to consider family size when planning. The campaign uses phrases such as ‘it’s ok to plan’, ‘what’s your perfect (family size)’, ‘what are your reasons’, ‘it’s ok to be small’, ‘you two decide’, and more. Look for our signs, listen for our radio spots, and watch video clips below and at our new small families.us website. The Small Families initiative provides perspective, information, and resources to help all plan for a viable and good future. How About Utah? How about your state or country? Please consider that Utah stands out, dramatically, compared to other states. Our birthrate, again,in 2012, was the greatest in the U.S.A. 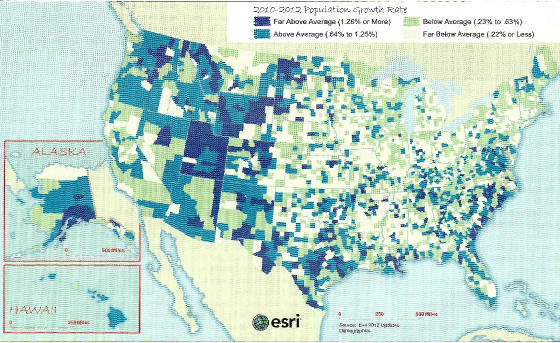 This was reported in the Salt Lake Tribune in a Dec. 2012 article: “Census: Utah is Growing and Fast“. And, as you can see below, the Utah 2012 DataBook* and also the Governor’s office forecasts Utah’s population to double by 2050! How big can we safely get? Consider the air quality impact! Wonder how much of the above graph’s data is due to net migration? In the last 30 years it averages to less than 25%. The big rest of it is due to “Natural Growth”! See p. 33 of the 2012 Utah Databook (link above graph). How long can we sustain this exponential growth? Please watch the videos near the bottom of this page. There is more time for each individual child – raising overall family happiness. Women, given the choice, often choose to have smaller families and “spread the kids out more”. Studies show children in smaller families tend to achieve their educational and other life goals. Each additional child adds a significant cost: Several hundred thousand $$ over the 18 years! Each additional child has a major climate impact: 9441 metric tons of carbon dioxide added over a lifetime (based on current average footprint). And other environmental impacts: water and food supply, and increased waste handling / landfills. Please click on an underlined phrase for supporting info, See also our Resources page with 2 more TED talks and key family size information. We want to ensure people get the right idea, but, we don’t want to tell anyone what to do. These are personal choices – up to each individual and each couple. There are some important things to consider if we think 30 or more years, ahead. Click here to understand and connect to the dangers of exponential growth! Scientist David Suzuki uses a clever analogy to show how growth hits us quickly. Including, where you live. Consider that here in the Salt Lake Valley, air quality is a serious problem and water IS limited. Join 1.3 million viewers of a very informative TED Talk video! Click here to watch a clever way to consider the big problem. In 10 minutes, this TED talk features a cool “Big Box” model for us to connect to. It gets right to the point, in a compelling way. We see what is unfolding and what we must do. And many people in the world look to us here in the United States and how our family size is. We want to set a good example!